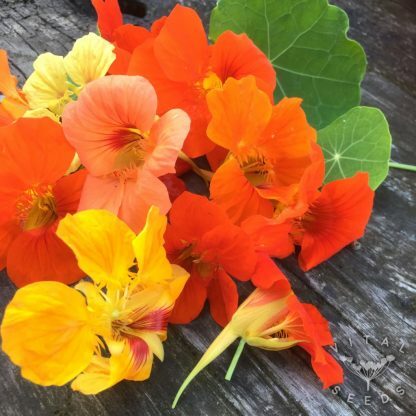 A colourful annual whose leaves and flowers are edible. 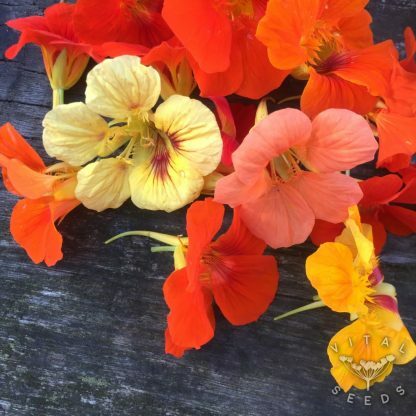 Trailing mix of bright greenery and different shades of orange, yellow and red coloured flowers. 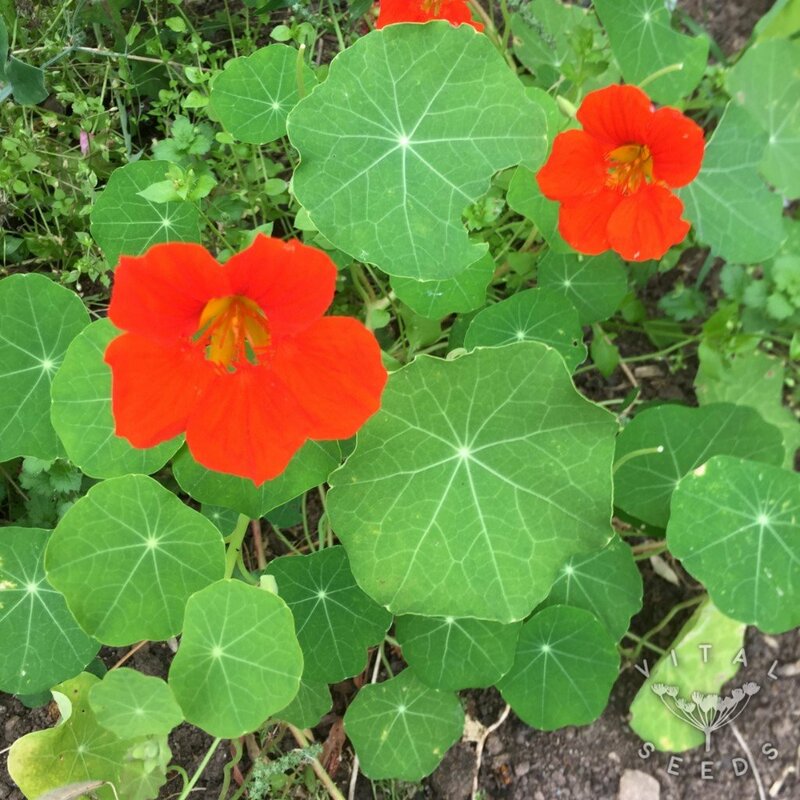 Both leaves and flowers are edible, they taste peppery, hot, and sweet. 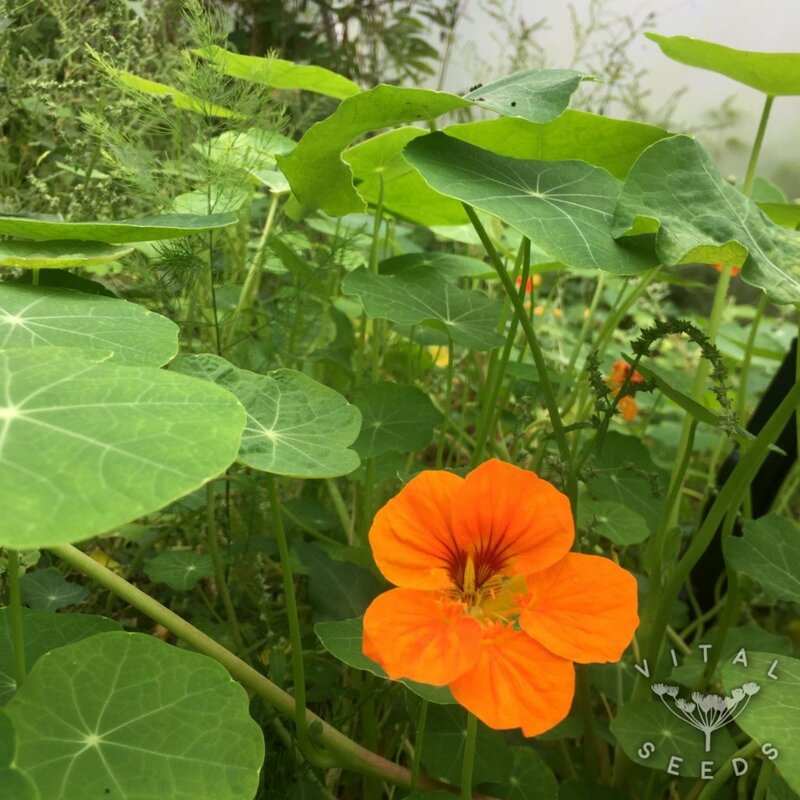 We love having nasturtium flowers dotted around our land. They attract the bees and just make a beautiful addition in summer salads.